Because you don’t need a terrible amount of fabric, I like using old fabric scraps for this DIY, such as T-shirt ends. Here, I’m using a sheer, floral print fabric. 1. Cut- Cut out an 18 in by 4 in strip of fabric. 3. 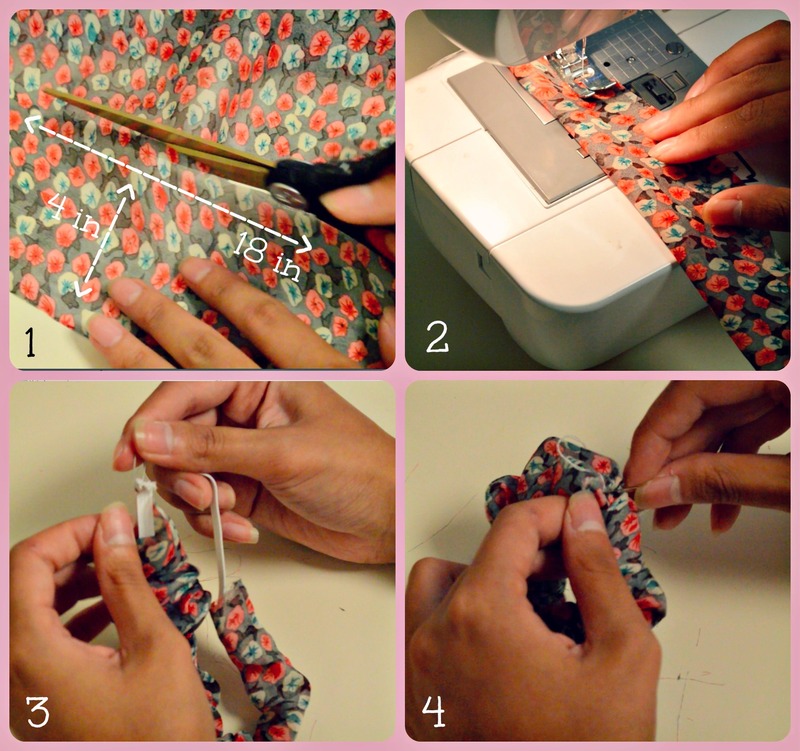 Add Elastic– After turning the scrunchie right side out, cut out 9 in of elastic and insert into the scrunchie. Attach a safety pin and feed the pin through the scrunchie, making sure that one end of the elastic stays outside the scrunchie. Tie both ends of the elastic together. Need extra help? Click here for a guide on inserting elastic. 4. 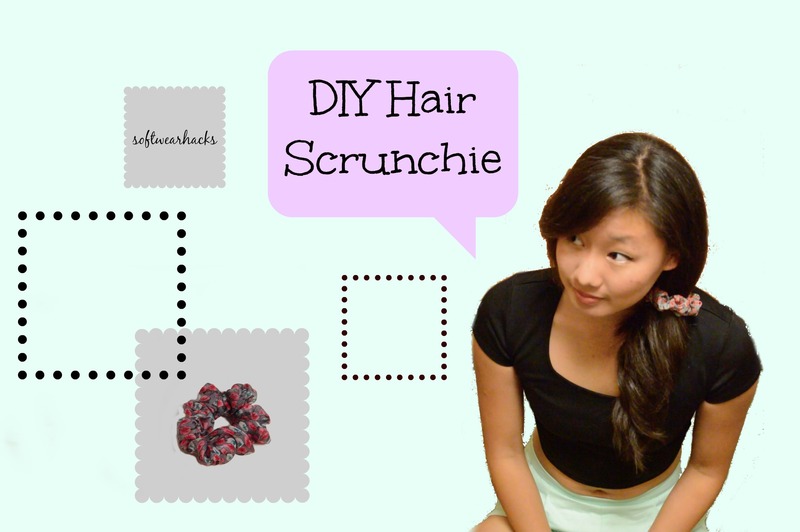 Close the Ends- Secure the elastic and sew together the two ends of the scrunchie. Want to make the thread seem invisible? Click here for a guide on how to close a seam so that the thread cannot be seen. This DIY is so simple and only takes about 10 minutes from start to finish. You can easily spend a whole afternoon making these cute accessories for yourself and your friends! Great instructions – thanks for sharing!